My gut says: baby steps. They need to define the IRB process and make sure all the pieces of the machine work well. There are many factors which will unfold now. Will other states fall after Texas like for medical marijuana? Will Texas stand alone and all US stem cell companies open clinics there? Will patients go to a clinic in Texas regulated by an IRB with zero experience over a treatment center outside the US with thousands of successes? Can the FDA approval process be changed from clinical trial to produce drugs INTO a process oriented hybrid? Will insurance cover it…ie will the American people, many whom think all stem cells are embryonic still so all stem cells = murder, many whom don’t know about the thousands of trials and tens of thousands patients treated, want to ‘foot the bill’ for these Texas treatments? Rome. Built. Not one day. Baby steps…but a step in the right direction. 1. This is not blind distribution of medicine with no control. The legislature demands full transparency & disclosure (not available to patients in clinical trials). In trials, patients have no idea what they are getting if anything! There is no patient, only guinea pigs. Adult stem cells have a proven record of safety & efficacy in studies & trials around the world – thousands of them. American medical professionals are so Ameri-centric, they throw away or ignore anything conducted outside the USA…when our health system is ranked 37th in the world. This arrogance is suspect. “We’re 7th in literacy, 27th in math, 22nd in science, 49th in life expectancy,178 in infant mortality…” and the US throws away other country’s clinical trials & studies? Perhaps we should throw away our entire medical system & start from scratch or at least start taking pointers from some other countries on how to improve our health care/medical system…countries who apparently do a better job at it than we do like ranked 27th to 36th: United Arab Emirates, Israel, Morocco, Canada, Finland, Australia, Chile, Denmark, Dominica and Costa Rica. With our CLINICAL TRIAL system, a human patient is used as a Guinea pig & sacrificed for the patient of tomorrow, blindly & randomly given medications or not, given placebos or not or given nothing. They are Guinea pigs by definition. There is no patient, there is no empowerment, there are no rights, there is no agenda for healing. The health of one patient is sacrificed today for the health of patients of tomorrow whom apparently have more value. Categorization of any human patient as dispensable, even in order to generate data for a drug treatment to be sold to a different patient tomorrow, is reprehensible. Clinical trials = no agenda for healing today. With ADULT STEM CELL TREATMENTS, a human is given a therapy today intended to heal that person today. That person. Their health, their survival, that patient is of paramount importance. Their life has value, today. Adult stem cell treatments are simply, a treatment today, paid for today, for a human today to heal today, live today and into tomorrow. I guess you can be a Guinea Pig for future patients tomorrow or you can be an empowered patient for yourself today. All this legislature does, is give you the choice. In the end, our choices are all we ever have. 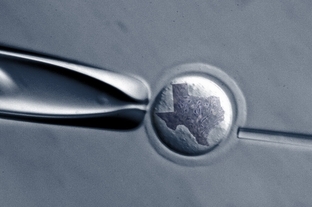 TEXAS OKs EXPERIMENTAL STEM CELL THERAPY LIMITS!!! I DON’T THINK I BELIEVE IT!! The rules require patients to give their consent and a review board must approve the procedure before using adult stem cells. Supporters say establishing formal rules will lead to more medical innovation. Critics warned that the rules don’t provide enough protection for patients and could lead to an explosion of doctors promoting unproven, expensive treatments. Perry had his own stem cells injected into his back. The Food and Drug Administration hasn’t approved using adult stem cells to help people heal from surgery, but experimentation is common. Some scientists tout the possible benefits, including treatment for heart disease, diabetes and some cancers. Texas OKs experimental stem cell therapy limits | ajc.com. Today (Friday) there is a very significant legislation ruling in Texas (prompted by Gov Perry and his use of stem cells during spinal fusion surgery) which if passed will allow the use of stem cell therapy in Texas under a few conditions. How will this effect the patients and the stem cell industry? This is by no means a political message and I neither endorse nor denounce Gov Perry but I do appreciate the incredible attention he has been able to focus on the benefits of adult stem cell therapies and if this legislature goes through, thousands of patients with no hope can be help with them. GUINEA PIGS: Bare in mind that a Guinea pig is a model organism used in human subject research (to check the effect of something on humans which has been untested or not fully tested on humans.) The Guinea pig is presumably sacrificed (as were the other animals in the animal trials) for the greater good, the health of the humans tomorrow. Today’s human Guinea pig is dispensable. ADULT STEM CELL TREATMENTS: With ADULT STEM CELL TREATMENTS, a human is given a therapy which is intended to heal that person. That person. Their health is of paramount importance. Their survival is important. Their life has value, today. Adult stem cell treatments are simply, a treatment today, paid for today, for a human today to live today and into tomorrow. CLINICAL TRIALS: In a CLINICAL TRIAL, a human is used as a Guinea pig and sacrificed for the humans of tomorrow. Humans used in clinical trials are unknowingly and randomly given medications or not, given placebos or not or given nothing are Guinea pigs. They and their health are sacrificed for the health of humans of tomorrow whom apparently have more value. Clinical trial drugs are a treatment today for a human today whom is completely dispensable in order to generate data for a drug treatment to be sold to a different human tomorrow. WHY ISN’T WHAT’S GOOD ENOUGH for DRUGS, NOT GOOD ENOUGH for STEM CELL THERAPIES? Isn’t that what is going on every day with the FDA, pharmaceutical companies and doctors? Seems like this is actually a leveling of the playing field. Texas’ proposed adult stem-cell regulations, up for approval this week, are under fire for circumventing the Food and Drug Administration and making the experimental therapy commercially available before it’s been proven safe and effective. The criticism of the Texas Medical Board draft policy, developed in the aftermath of Gov. Rick Perry receiving stem-cell treatment for his back problems, is coming from a host of pre-eminent scientists and institutions, including the influential scientific journal Nature and the International Society for Stem Cell Research. Dr. Irving Weissman of the ISSCR called the draft “a clever way around the FDA’s appropriate role overseeing clinical trials.” Weissman, director of Stanford University‘s Institute for Stem Cell Biology and Regenerative Medicine, said the policy violates the ISSCR’s guidelines for clinical use of adult stem cells. The policy, thought to be the first of its kind, would allow Texas doctors to provide the unlicensed therapy as long as they have approval from a review panel that assesses the cells’ use for patient safety, as is customary in clinical trials. But unlike most clinical trials, in which experimental therapy is provided free, the policy would allow Texas doctors to charge for it, typically tens of thousands of dollars. Mari Robinson, executive director of the Texas Medical Board, denied that the proposed policy represents an alternative path than the FDA. She said that in the absence of definitive direction from the FDA, the board simply wants to ensure that “new and expanding areas of medicine” are safe for patients. Adult stem cells are cells in the body that multiply to replenish dying cells. Though they lack the ability of embryonic stem cells to morph into any kind of tissue, they have shown much promise in recent research treating a variety of conditions. Still, the therapy is mostly in early-stage clinical trials and considered five to 10 years away from FDA approval. Nevertheless, clinics that claim adult stem-cell therapy can treat conditions from Parkinson’s to multiple sclerosis are proliferating, mostly in other countries but increasingly in the United States. The head of a Houston stem cell bank involved in Perry’s procedure says it has stored more than 100 customers’ stem cells, as many as 50 of whom have had them reinjected. The Texas Medical Board has grappled with the issue since before a Houston surgeon treated Perry last July. Its policy was tentatively approved in February, after months of “stakeholder” discussions, public comment and revision. But numerous experts in bioethics, stem-cell science and health law last week strongly criticized the finished version. Most expressed concern about why Texas feels the need to set up a process they described as redundant to the one already run by the FDA. Robinson disputed the suggestion that every therapy a doctor provides requires FDA approval. She said there already are plenty of alternative and complementary medicines regulated by the state, not the FDA. Sipp said the policy would make it difficult to conduct randomized trials, the gold standard of research in which some patients receive the therapy and some receive a placebo. Patients paying tens of thousands of dollars for therapy likely wouldn’t accept a 50-50 chance of getting a placebo, he noted. Experts also questioned the policy’s allowance of for-profit review boards to oversee doctors’ use of stem-cell therapies, claiming such boards risk losing business if they don’t approve clinical research proposals. 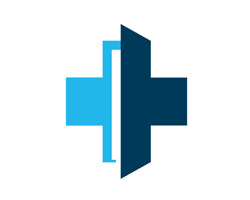 The Texas Medical Board is scheduled to consider the proposed policy Friday. You can get stem cells in Texas. They have to tell you they are not approved by the FDA. They have be reviewed by an IRB – Institutional Review Board. After months of deliberation — and input from Gov. Rick Perry, among others — the Texas Medical Board on Friday gave preliminary approval to a set of rules on adult stem cells in Texas that are less stringent than those originally proposed. With no opposition, the vote on a topic that has received much scrutiny and skepticism since last spring took only about five minutes. In the weeks leading up this meeting, members of many Texas academic institutions had written to the Board to express concern that the rules — “Standards for Use of Investigational Agents” — were too restrictive and created what they felt might be onerous regulations on any treatment that could be undergoing clinical trials. Discussion of changing the Texas Administrative Code to include regulating these trials began last summer after Perry used adult stem cells to treat a recurring back injury. Perry learned of and advocated for the treatment after Dr. Stanley Jones — a Houston orthopedist, donor and personal friend of the governor — flew to Japan to receive the same treatment for his arthritis. At the moment, extracting, growing and using adult stem cells is considered largely experimental and can cost anywhere from $10,000 to $50,000. However, those at the meeting expressed hope that this new treatment could eventually become affordable and accessible to more Texans. Under the rules OK’d on Friday, patients will be informed that using adult stem cells, or any investigational agent, has not been approved by the FDA and that any clinical trials will be approved and overseen by an Institutional Review Board, or IRB. The board and industry leaders hope this new rule will give them more data on the potential benefits of using adult stem cells. Currently, there is no substantial data to indicate that adult stem cells are beneficial for patients other than those undergoing bone marrow transplants — used for decades to treat leukemia and sickle cell anemia. In late August, the board’s initial rule had included language requiring consent forms detailing the risks and benefits, and stating that any treatment offered needed to have a favorable risk/benefit ratio. Now that the proposed change has been approved by the board, the rule will be printed in the Texas Register, where the public can view them and comment on them. Further drafts of the rule may be drawn up, with the final version put to vote for adoption during the April board meeting. Glenn McGee, president of strategic initiatives for Houston-based Celltex Therapeutics — which was founded by Jones and Perry donor David Eller, and is a Texas adult stem cell bank — was also in attendance Friday and happy with the proceedings. Editor’s note: An earlier version of this story incorrectly reported that Celltex Therapeutics was the only Texas adult stem cell bank. Read more: Medical Board Gives Early OK to Adult Stem Cell Rules — Health Reform and Texas | The Texas Tribune. Now, an important part of this puzzle has been pieced together by researchers at the University of Texas Medical Branch at Galveston. In experiments with both laboratory rats and an apparatus that enabled them to simulate the impact of trauma on human neurons, they identified key molecular mechanisms by which implanted human neural stem cells — stem cells that are in the process of developing into neurons but have not yet taken their final form — aid recovery from traumatic axonal injury. A significant component of traumatic brain injury, traumatic axonal injury involves damage to axons and dendrites, the filaments that extend out from the bodies of the neurons. The damage continues after the initial trauma, since the axons and dendrites respond to injury by withdrawing back to the bodies of the neurons. “Axons and dendrites are the basis of neuron-to-neuron communication, and when they are lost, neuron function is lost,” said UTMB professor Ping Wu, lead author of a paper on the research appearing in the Journal of Neurotrauma. Read more: CellNEWS: Scientists Learn How Stem Cell Implants Help Heal Traumatic Brain Injury. The tide has turned!!! The wave is coming!!! With the goal of rejuvenating their sickest patients and moving them from a bed back to normal life, Houston cardiologists will soon begin injecting stem cells directly into damaged hearts. Scientists from the Texas Heart Institute and St. Luke’s Episcopal Hospital announced Tuesday they have received U.S. Food and Drug Administration approval to test the innovative treatment, based on the remarkable ability of human stem cells to grow into almost any tissue. The U.S. study follows promising research conducted by the researchers in 14 Brazilian patients. “One thing is very clear, the injected stem cells clearly improved the blood flow to the heart,” said Dr. James T. Willerson, director of cardiology research at the heart institute and chief of cardiology at St. Luke’s. The study’s results will affect the most desperate group of heart patients. People with advanced heart failure in the United States have a 30 to 50 percent chance of dying within a year. Most have exhausted all other treatments and are left waiting for a heart transplant or mechanical devices to improve the pumping of their hearts. All of the 14 Brazilian patients showed some sign of improvement in their heart function after receiving stem cell injections, researchers said, including the ability of the heart muscle to pump blood. Several have even begun jogging, Willerson said. Although it is a very small sample of patients, just two have died in the nearly two years of monitoring, when, without treatment, half or more might have died. The first phase of the Houston trial, with six patients, will begin almost immediately, the researchers said. Eventually 20 patients will be given stem cell injections and another 10 will receive a similar procedure but no injections. None of the participants will know if they have received the stem cell therapy. After six months, those patients who don’t get the stem cells will have the option of receiving the therapy. Stem cells — heralded because of their chimerical ability to grown into almost any cell type in the human body — hold much promise in medicine. Use of embryonic stem cells, potentially more versatile but controversial, is limited by the federal government because they come from embryos fertilized in vitro. For this study, the Houston group believes it can accomplish its goal with adult stem cells, so named because they are taken from grown humans. During a heart attack, blood flow to the heart is blocked, causing permanent muscle damage. Rather than propping up the heart with medications or implantable pumps, Willerson and his team, as well as others studying stem cell heart therapy, hope to regrow muscle tissue. Willlerson speculates this might be happening in the Brazilian patients, but it will take more research to know for sure. There is some evidence, however, that the Brazilian patients’ improvement may not have come from new heart muscle cell, but from new blood vessel growth. This week, two major articles published in the journal Nature reported that mouse bone marrow stem cells injected into the damaged hearts of mice died within 30 days. If the stem cells injected into the heart do grow new blood vessels, perhaps by secreting proteins or growth factors, the increased blood flow to the heart could improve performance by preserving living cells near the damaged tissue, Murry said. Willerson’s group has conducted its own trials of stem cells in mice and concluded it is possible to grow heart muscle cells. In his animal trials, Willerson injected a different type of stem cell using a different procedure, and they did grow some new heart tissue. “The techniques were very different,” he said of his work and the Nature studies. Patients in the Houston study will undergo magnetic resonance imaging, blood tests and other diagnostic measures to determine how well the procedure works, and if there is improvement, why exactly the patients’ hearts are functioning better. Because of the rigorous follow-up needed for this initial study, which is expected to generate considerable interest among advanced heart disease patients, candidates will be limited to those who live in the greater Houston area. Use of adult stem cells has helped a swimming champion continue to compete. Lexi Spann, a swimmer for the University of Texas, suffered a serious shoulder injury which put her on the sidelines. Texas Alliance for Life talked with her. Spann’s own adult stem cells were used to treat the injury. “They removed some of my own adult stem cells and then put them into my shoulder during the surgery,” she explains. The competitive swimmer had to give her shoulder about three months to heal and let the adult stem cells work. Spann was pleased with the results. “I was surprised, because I missed some training because of my surgery,” says Spann, “but I was able to, at trials, end up going right next to my best time [in the 100-meter breast stroke] — so I was ecstatic to be at that point so fast.” She was able to compete in the Olympic trials and then nationals just as if she were her old self. Texas Alliance for Life says Spann’s case is another clear example that adult stem cells work in more than 70 diseases and medical conditions, while embryonic stem-cell research has produced no results.